However, the card I'm showing you today has nothing to do with fall but everything to do with our new challenge at House of Cards-Stitching! For the challenge you can use faux stitching (pen, stickers, etc) or real stitching with a machine or done by hand. So my process is funny because I get out this little sewing machine by provo craft and because it has one unpredictable stitch and I'm missing a piece-I totally abandon that idea. Then I get out my 2 sheets of faux stitches. And then 3 is a charm you know--I get out my We R Memory Keepers sewing tool thing. I pierced the paper with 3 different types of stitches and then sewed them up. I used 2 Stampin' Up stamps that a friend of mine gave me (Thank you!). I used Copics to color the frog and glued sequins that matched the thread. Please check out what my teammates have created. They are super talented! Loveeeeeeee this! 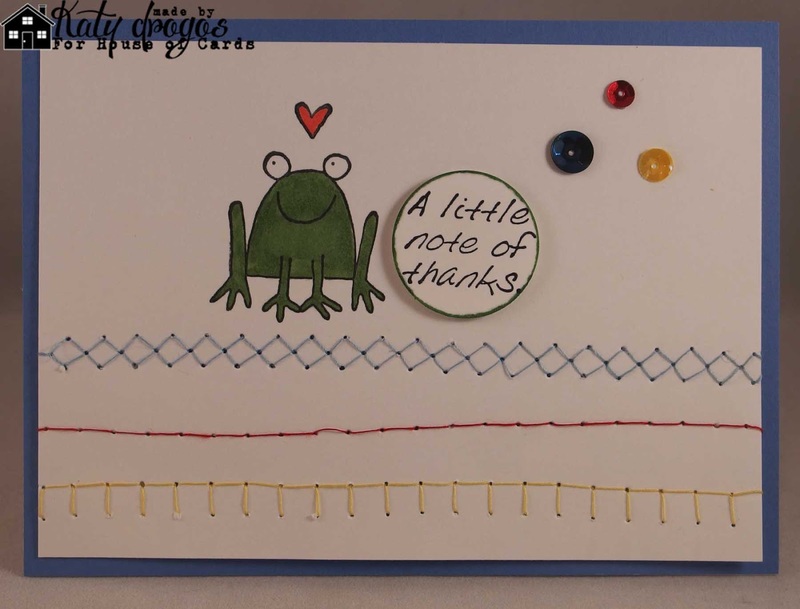 LOVING that stitching and the little frog!!!!!!! Super cute card! Love the stitching and the frog! 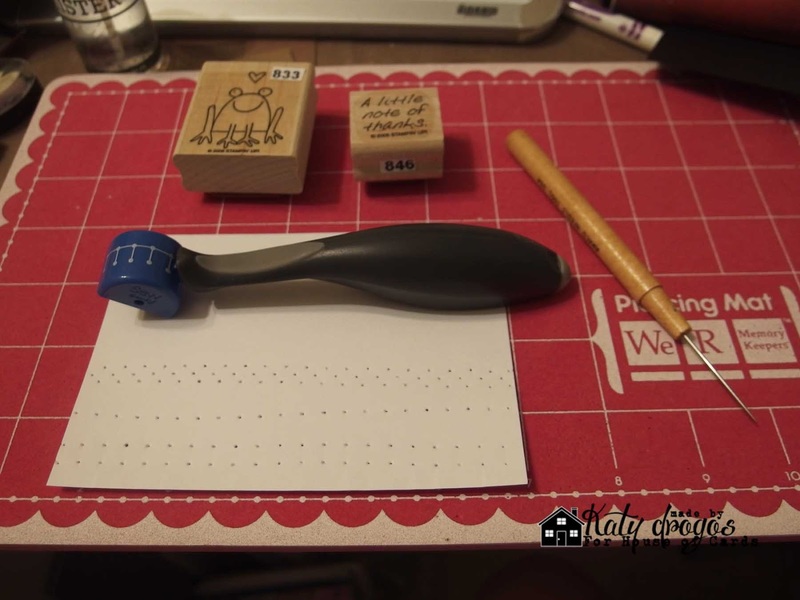 I have the We r Memory stitching tool as well and I know I need to use it more! Is there a tool for stitching too... Did not know. Nice card by the way. I like the stitching! Your frog is adorable! Have a great day! Cute card! 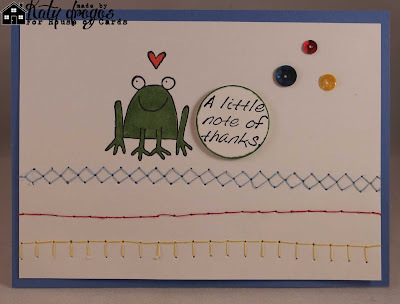 Love the frog, and your stitching. Well done! Ach so creative you are...for me to complicated sewing in a paper..I love your crrative idea.. I can so relate to difficulties with a sewing machine, I have had one for years and can't figure out how to make it work! Your stitched card is adorable! LOL--you certainly had an adventure creating this card! So glad you did! Adorable card! Love the little stitches!